And buy up everything we can find for the most fantastically, fabulous unicorn party ever. And it’s ALL gotta be new. Though we have got a huge box of old stuff. BECAUSE last year was mermaids, you see. And the year before Frozen. 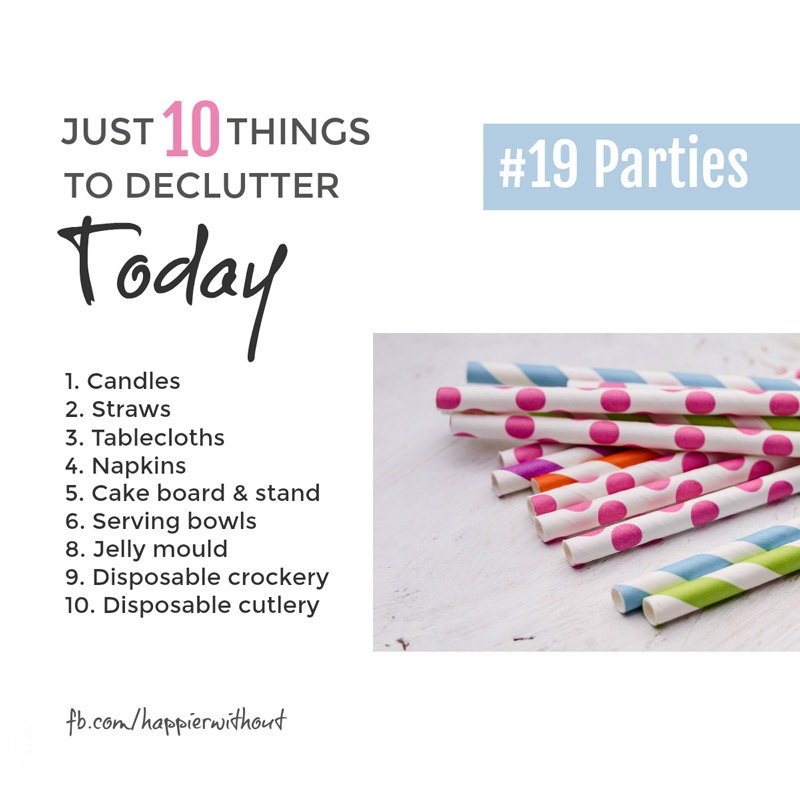 I had 7 years of party clutter – all different themes – squirreled away in an enormous box. Before I finally let it go this year. We think we’re being frugal. But we’re totally NOT if it just sits there unused. So today we’re letting go of old party stuff. Now your local charity shop may not take the disposable stuff. So this is where Facebook comes in to its own. I passed on my big box of stuff to other parents via local Facebook groups. It took 2 minutes tops to post. And a couple of mums came and took the lot. A big well done for anything you let go. Every day you do this you’re making progress. AND you’re changing how you think. And that will help you keep clutter out. We all want to make parties special. Especially for kids and grandkids. Or if it’s a big number. But the marketing machine has taught us special equals new. Different. Not like last year. We actually ALL need traditions. And rituals. Year after year. These are part of our identity. And help to define us as a family. So bring out the old and the well loved. And don’t hand over all your hard earned cash every year for totally new party stuff that will never all get used. And either get chucked. A waste of money. Or clog a cupboard. Also a waste of money.